Penelope Skinner’s Angry Alan and What Girls Are Made Of  by Cora Bissett have won Scotsman Fringe First awards at the Edinburgh Festival Fringe. They are among the first seven winners of the newspaper’s prizes at this year’s fringe, three of which – including Bissett’s show – are running at the Traverse Theatre. The others are David Ireland’s Ulster American  and Iseult Golden and David Horan’s Class . Angry Alan is playing at Underbelly. 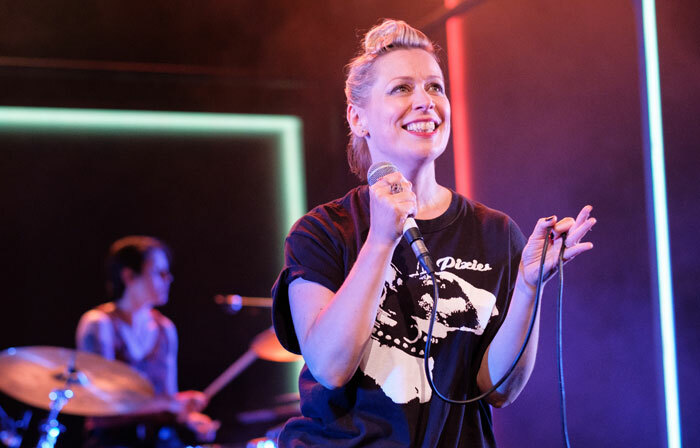 Two Summerhall shows won awards – Chris Thorpe’s Status  and Zanetti Productions’ The Basement Tapes – while the final award went to First Snow/Premiere Neige, by the National Theatre of Scotland, Theatre PAP and Hotel-Motel, running at the Canada Hub. Fringe Firsts are awarded throughout the festival, on a weekly basis, and celebrate new writing at the fringe. They are judged by the Scotsman’s team of critics.